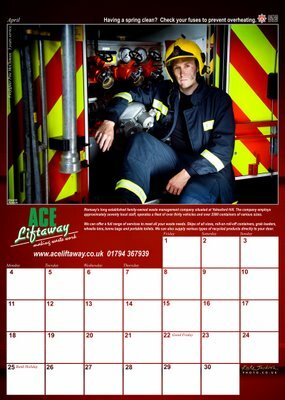 The Romsey Firefighters Calendar is a community project and we hope you will support us in raising funds for Wessex Cancer Trust and The Firefighters Charity. Our sponsors have given this project a head start and now we hope that everyone will want a calendar for Christmas. 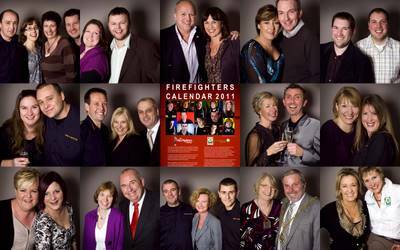 450 calendars sold - well done and thank you everyone! Dec 31st - All calendars sold. Well done and thank you everyone! Dec 11th - Back to the printers for more calendars as the first print run sells out. Dec 2nd - The town painted red - Romsey is now awash with posters thanks to our local shop owners helping us along. A special thanks to all the hair salons who say they particularly like Messrs June, April and December. Nicky at Romsey Hospital was especially helpful. Thanks also to the HFRS for printing them for us. Nov 26th - The girls from Co-op Travel on the Market Place would like a poster for their window. They are looking forward to one of the firefighters delivering it soon! Nov 24th - Some great online customer feedback and Lydia at Call of Beauty would like to sell them to her customers. Thank you Lydia and see you soon. Nov 19th - The Daily Echo did us proud - please read and watch. Nov 19th - Hold the front page - it's the guys! The Romsey Advertiser gave us lots of 'exposure' this time so this will surely help us along. Nov 15th - a big day for the calendar - its official launch! 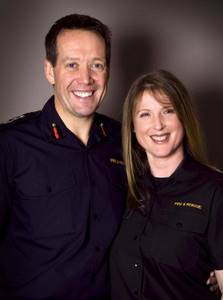 120 people and sponsors gathered at the White Horse Hotel and Brasserie in Romsey to see the unveiling of the photos, hear Kate (sort of) singing , meet Hampshire Chief Fire Officer John Bonney and hear from charity representatives Kim Lawford (WCT) and Pauline Tyldesley (FFC) . Firefighter Andy Needham MC'd to perfection. Nov 13th - The Old House at Home (one of our sponsors) has joined us as a retail outlet - great! Nov 12th - The Romsey Advertiser prints the story about the calendar. 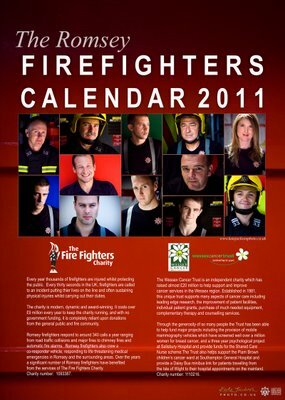 Nov 11th - Rebecca sells her first two calendars after our interview on Radio Solent. Have you seen her window display (Judy Webb)? Nov 10th - Rebecca and Kate interviewed by Katie Martin on BBC Radio Solent. To hear it, click below. Remember, hug a firefighter and feel warm all over! 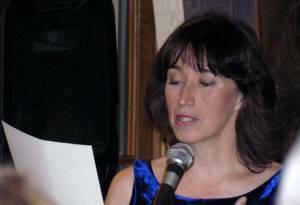 The Wessex Cancer Trust is an independent charity which has raised almost £20 million to help support and improve cancer services in the Wessex region. 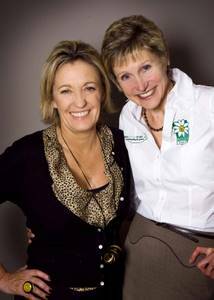 Established in 1981, this unique trust supports many aspects of cancer care including leading edge research, the improvement of patient facilities, individual patient grants, purchase of much need equipment, complimentary therapy and counselling services. Through the generosity of so many people the trust has been able to help fund major projects including the the provision of mobile mammography vehicles which have screened over a million women for breast cancer, a three year psychological project at Salisbury Hospital and provide funds for the Shared Nurse Scheme. The Trust also helps support the Piam Brown children's cancer ward at Southampton General Hospital and provide a Daisy Bus minibus link for patients travelling from the Isle of Wight to their hospital appointments on the mainland. Every year thousands of firefighters are injured whilst protecting the public. Every thirty seconds in the UK, firefighters are called to an accident putting their lives on the line and often sustaining physical injuries whilst carrying out their duties. The charity is modern, dynamic and award-winning. It costs over £9 million every year to keep the charity running, and with no government funding, it is completely reliant on donations from the general public. Romsey firefighters respond to around 340 calls a year ranging from road traffic collisions and major fires to chimney fires and automatic fire alarms. Romsey firefighters also crew a co-responder vehicle, responding to life threatening medical emergencies in Romsey and the surrounding areas. Over the years a significant number of Romsey firefighters have benefited from the services of The Fire Fighters Charity.